Along with our physical asset investment in agricultural sector such as plantation and processing facility, we set up our trading desk to cultivate our market oriented development on each project. With strong presence in Asia we have established our access to agricultural supply and market across the region and have capacity to deliver the right product to the right need in the most efficient way. 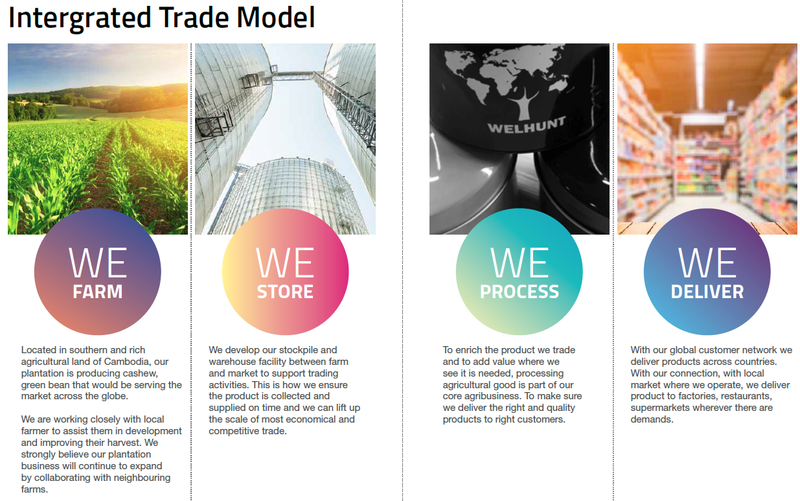 Our strategy is to operate a fully integrated global supply chain managing the flow of commodities that we trade from source to destination. Our assets include processing, warehousing and logistic facilities.